Samsung Galaxy Note 4 has already been unveiled, and there will also, doubtless, be some reviews of best 3/5 free DVD to Galaxy Note 4 rippers due to its even bigger 5.7-inch QHD AMOLED screen with higher resolution (2560×1440), perfectly designed for 2K/4K HD DVD movies playback. We do a test of Best Free DVD Rippers for new Samsung Galaxy Note 4 to see which one would come out on top to meet your need of "how to convert DVD to Galaxy Note 4". Free Rip Any DVDs to Samsung Galaxy Note 4 on PC/Mac. All precise specs info and images about Samsung Galaxy Note 4 got pushed into the open only in the past few weeks, right before Apple iPhone 6/6 Plus's official release. Samsung never ceases to amaze us with its great large mobile display. This time, they put in more time working on the QHD display resolution (1440 x 2560 pixels, 515ppi), which is also the reason why we focus on free DVD to Galaxy Note 4 rippers to rip DVD to Samsung Galaxy Note 4 for HD video playback. Next we will introduce the top 3 free DVD to Samsung Galaxy Note 4 rippers to you. Handbrake is ranked as the best free DVD ripper for Samsung Galaxy Note 4 for being open source, GPL-licensed, multithreaded and multiplatform, which has been gaining in popularity for years. So is HandBrake the top free DVD to Samsung Galaxy Note 4 ripper? 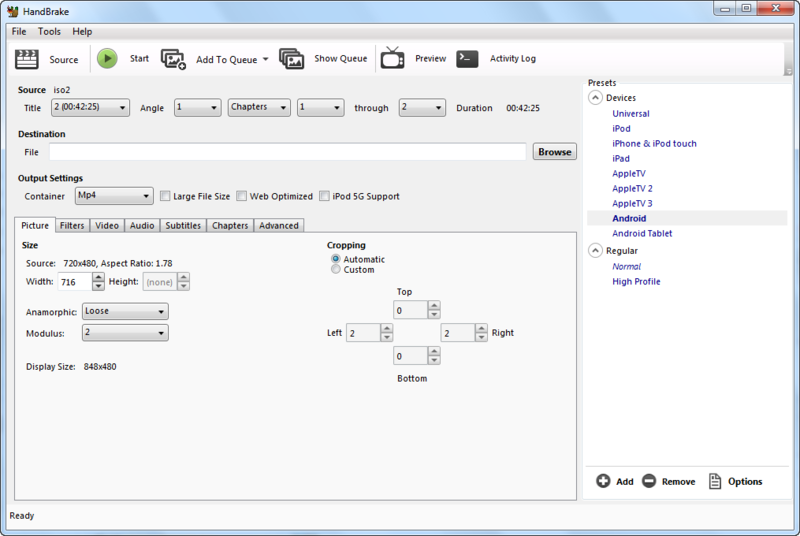 HandBrake has presets for iPhone, iPad, iPod, Apple TV and general Android mobiles, which makes it a free DVD to Samsung Galaxy Note 4 ripper. But it does little to help convert DVD to multiple video formats other than MPEG-4, which is always outputed in .m4v by default. Also, in our experience this well-reputed free DVD ripper, for Galaxy Note 4, does nothing to help rip CSS protected DVD. UOP, Sony ARccOS, Disney X-project DRM protected DVD to Galaxy Note 4 free ripping cannot be achieved either. HandBrake seems more likely to be a best free DVD ripper for Galaxy Note 4 to rip unprotected DVDs, although for average users it might be a little bit complicated to handle. WinX DVD Ripper, for Windows owners, is another best free DVD to Samsung Galaxy Note 4 ripper, being updated constantly. We include WinX DVD Ripper in the top 3 free DVD ripper for Samsung Galaxy Note 4, because it knows exactly what video format you need and offers it to you, perfectly, every time you want to free rip DVD to Samsung Galaxy Note 4/Edge, iPhone 6/Plus, iPod, Apple TV, HTC, PSP, etc., with specific phone model, video resolution, video format, video codec, aspect ratio, bit rate and audio parameters. 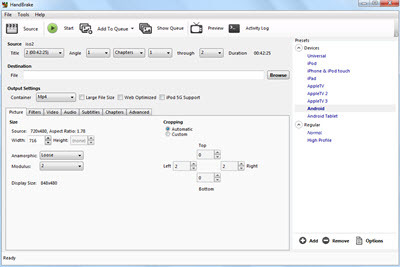 Besides, video audio settings are all customizable. Compared with its advanced version WinX DVD Ripper Platinum, there is still room for improvement, but as a free DVD to Galaxy Note 4 ripper, it performs well enough. 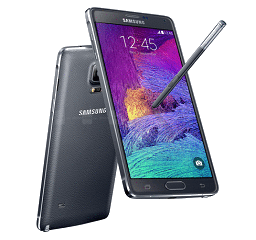 DVD Shrink, included in this best three DVD to Samsung Galaxy Note 4 rippers list, is an easy-to-use DVD transcoder featureing a DeCSS decryption algorithm for only Windows users to free backup DVD video files. 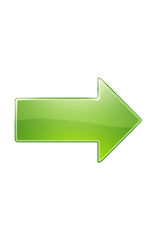 However, the final versions 3.2.0.15 was an update back in 2004. Windows Vista and later OS may have issues running DVD Shrink. This free DVD ripper for Samsung Galaxy Note 4 might have problems for supporting newer DVD discs and DVD copy protections. Despite of that, DVD Shrink is still favored by those who want to copy and compress DVD files, including VIDEO_TS folder, ISO image, etc. It has been proven to be able to compress video to as little as 39% of its original size, depending on the aspect ratio of the original DVD. * Please refer to DVD copyright laws in your country before you rip a DVD with any one of the best 3 free DVD to Samsung Galaxy Note 4 rippers. WinX DVD Ripper Platinum – Best DVD Ripper to rip any DVDs to Samsung Galaxy Note 4/Edge, iPhone 6/6 Plus, iPad, HTC One, Kinlde Fire etc.